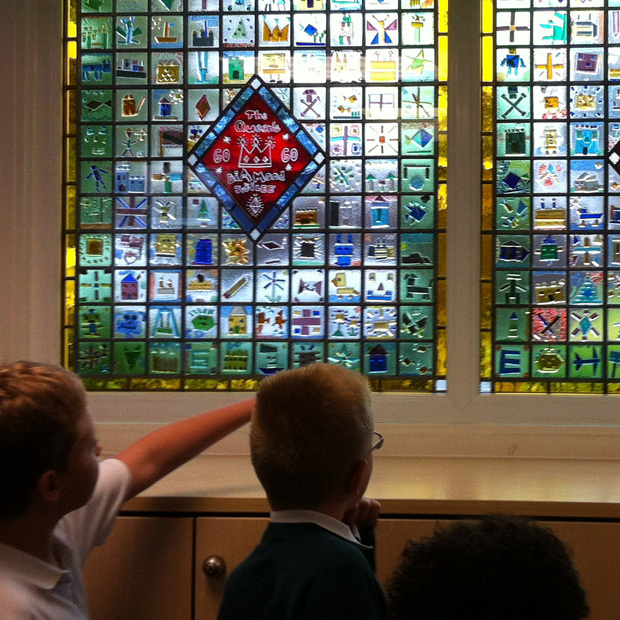 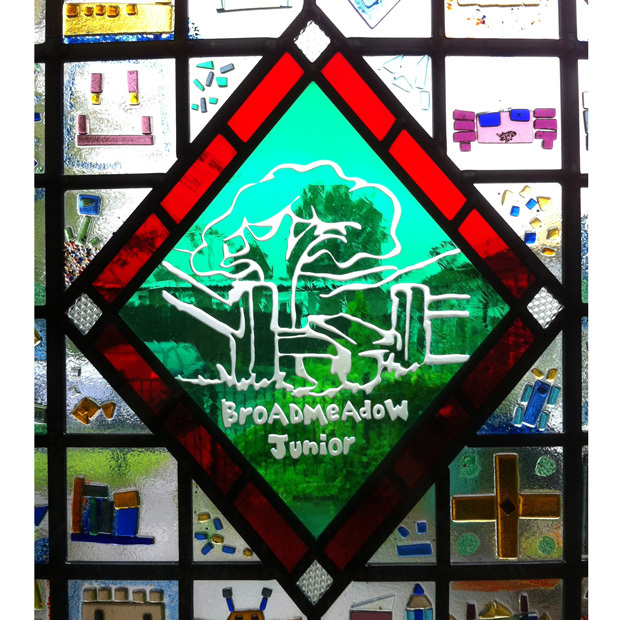 These two stained glass windows were made with the pupils of Broadmeadow Junior School, Kings Norton, Birmingham The pupils created fused glass tiles through a series of workshops where we had the opportunity to work with the whole school. 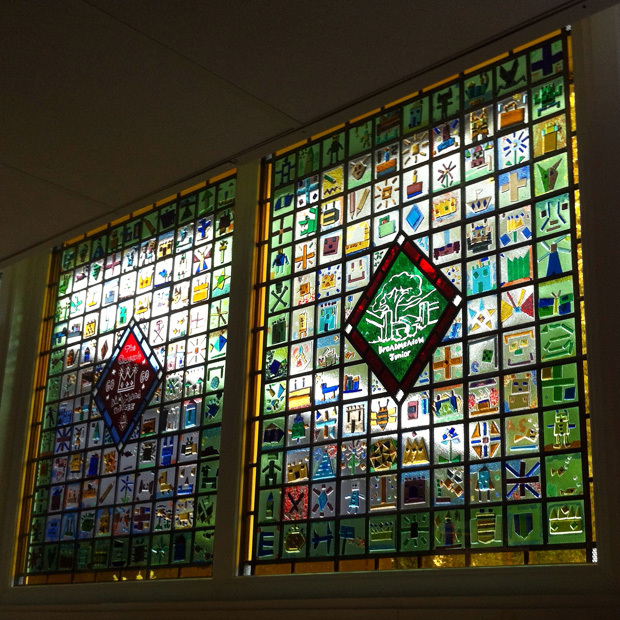 The windows were to celebrate the Queens Diamond Jubilee. 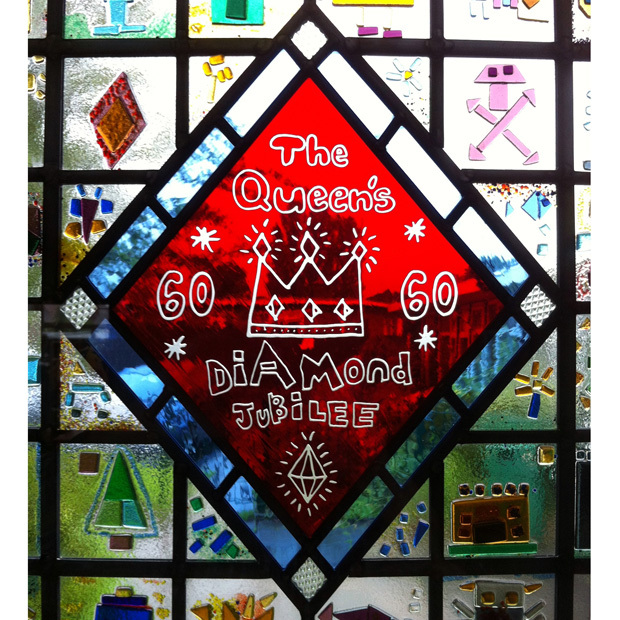 Both panels have a sandblasted flashed glass feature in the centre; the jubilee feature was designed by one of the pupils.